This article is written with politics aside. It is a simple informational article based on recent legislation being written into law. As of Friday, December 17, Americans now have the opportunity to continue earning tax-free passive income. President Barack Obama signed into law an extension of the Bush Era Tax Cuts which allows citizens to enjoy tax-free (or lower taxes) on Qualified Dividend Income. If you want to know more about what is qualified, then be sure to read the article on Wikipedia about qualified dividends. If you fall in the 10% and 15% rates, then your dividends will be tax-free, if you normally pay at a higher rate then you will enjoy the lower 15% tax rate. Many have heard people like Robert Kiyosaki, and Dave Ramsey tout passive income ideas from the tops of mountains. Income is always great, but tax-free income is even better for you. Few would pass up the opportunity of not having to pay taxes ever again. I’m sure there are a few out there who would say “give me the taxes, it’s my civic duty” but I’d say they’d be the exception more than the rule. If you haven’t been building a dividend portfolio, then now is definitely a great time to get the ball rolling. Before jumping head first into dividend paying stocks, it is definitely good to examine market stability. I will not make any wild claims about market stability, but I do believe that if you can get into some of the more steadfast, and “boring” blue chips, then you can enjoy the tax-free dividends while enjoying some safety (again, no safety is guaranteed). Consecutive years of dividend increases. Earnings % increases should be larger than Dividends % increases. Big, stable, diversified, and well-known companies are a huge plus! This tax break is only meant to sustain us through the end of 2010 and throughout 2011. 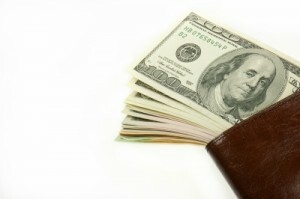 It is possible that regular taxes may come back in 2012 and this should be apart of your pricing model. While there has been strong bi-partisan support for these tax breaks (especially if you are in the lower brackets) the reality of generous tax breaks may come home to roost, and they could be wiped out completely! I find it terribly unlikely that they would wipe out all of the tax breaks completely, but desperate times will call for desperate measures and everything will be on the table for cutting. If building a decent dividend portfolio will take you years, and tax hikes will destroy you, then it would not be advisable to gamble on this plan. Not often are we presented with such an excellent opportunity to save, invest, and generate income at nearly 100% efficiency. It is important to look at all possibilities and consider all options. Bank CDs, money market interest, and many other forms of income will not have this tax advantage, so it will be important to consider these in your risk/reward calculations if you are going to be comparing apples-to-apples. To everyone who has already been taking advantage of these tax-breaks, good for you. You’ve been forward thinking and you are doing a great job of maximizing your dividend return. It’s good to emphasize that there is no free lunch out there. Sooner or later the eyes will turn to the US and punish the USD for all of the irresponsible spending by the government! I absolutely agree. That’s way I prefaced the article with saying “politics aside.” There are a lot of consequences to be had with these kinds of policies, I just highlight them because they are available. I definitely agree that we will pay for these types of policies. Look at California Tax Free Munis! NAC ticker! Tax free munis can definitely provide a nice shelter. I avoid California just because they always seem to be on the brink of printing their own currency. I’ll probably get more educated on them just to see if there are any mildly safe areas. Thanks for stopping in! Bonds are a great passive income generator if you have the money to invest. Options are a great play i think as well. It isn’t just about passive income but also about leverage. You need to leverage your dollars.